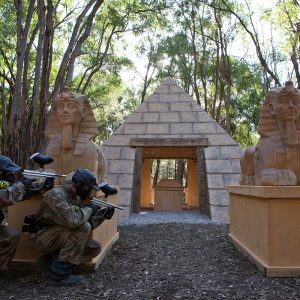 Last month News Limited played with the world leader in paintball entertainment, Delta Force Paintball, for their annual Corporate Team Building Day. News Limited booked out the incredible Melbourne venue as their staff were entertained on our movie-set game zones. Playing with our state-of-the-art equipment, the Victorian Manager for Men’s Specialist Magazines stated, “the day was really enjoyable and great for our team building and client relationship development. The playing field was first rate”. 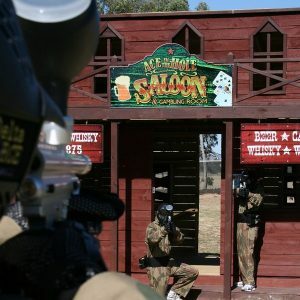 In the past, Delta Force has organised corporate paintball days for many successful businesses including Pepsi Cola International, McDonalds Restaurants, Kiss 100 FM and many more. Paintball is the perfect activity for corporate events as it boosts team morale, increases productivity and encourages leadership. So if you and your colleagues are thinking of arranging a team-building day then paintball at Delta Force is just the thing for you! Delta Force is the hallmark of quality in modern paintballing, offering the latest and safest equipment, the most varied and exciting game zones and our friendly, professional staff will ensure that you have the best day possible. 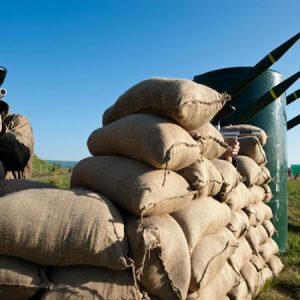 Our corporate events can be tailored to fit your company’s needs and a day’s paintballing is a great way to motivate staff and thank valued clients. Also make sure you check out January’s edition of ‘ALPHA’ to cash in on our great ‘Delta Force ALPHA Special’ at any of our 4 National Centres. Please give one of our friendly event coordinators a call on 1300 850 744 and we’ll be happy to arrange an event for you and your colleagues.